There is very little that can be said about this incident and even less can be said to console the owner of this modern classic. 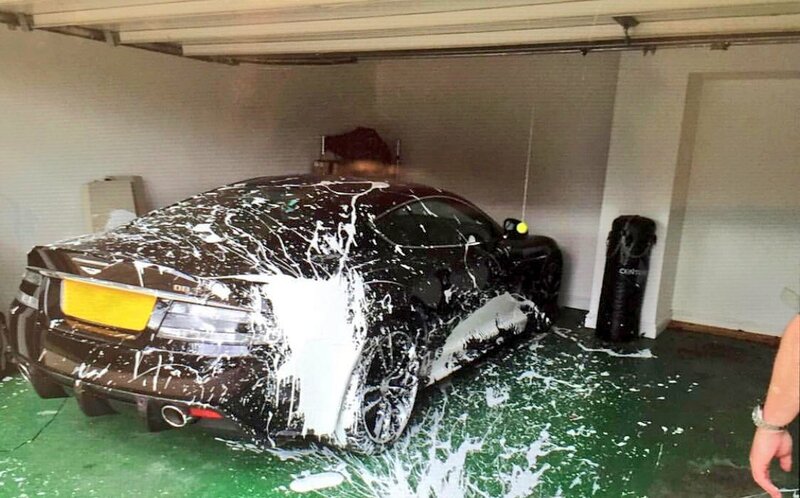 All we know is that a car parked next to this Aston Martin DBS ran over a tin of paint – not emulsion before you ask. The worst thing? The tennis ball on the wall shows this owner clearly cares about his pride and joy.